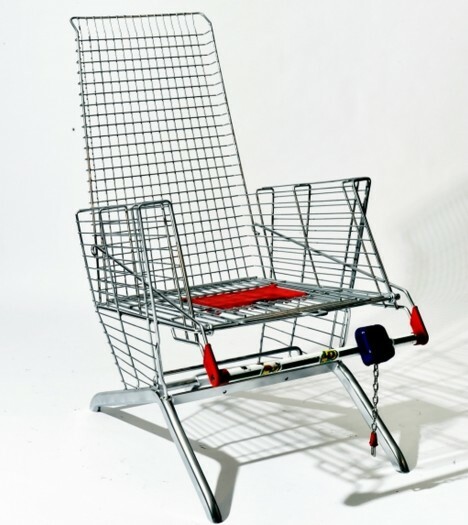 Shopping carts are anything but sleek and modern, often dysfunctional and generally associated with a boring chore, at least until this (re)creator came along. 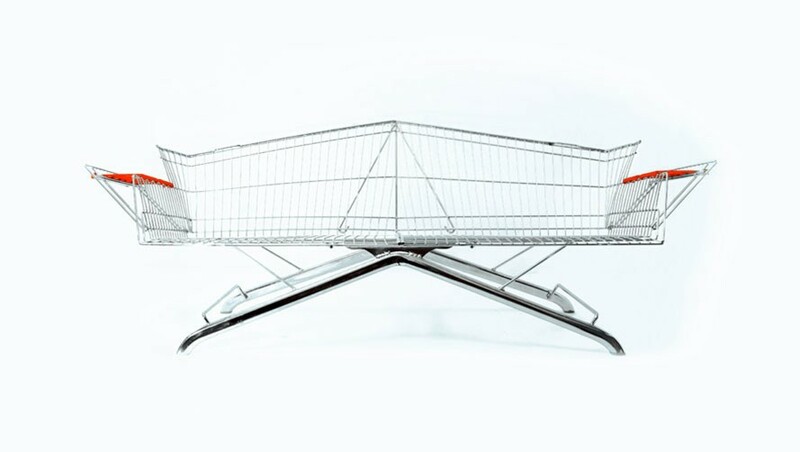 Etiënne Reijnders is a Dutch designer who decided to test the stylistic limits of grocery carts, cutting, sawing, folding, forging and welding them into stunning new shapes. 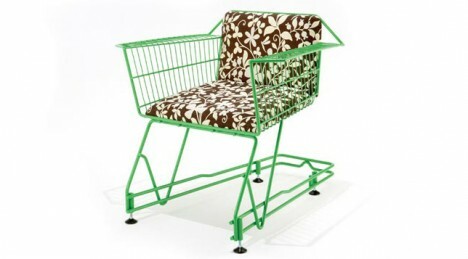 The resulting seats utilize almost all of the material from the original carts, carefully planned to minimize waste while also creating beautiful and functional seating. 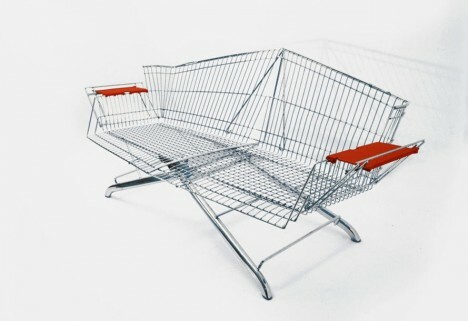 Reijnders is not the first designer to think of recycling everyday materials into furniture (the example above comes from another designer), but the results in his case somehow manage to bridge the gap between looking both like the recycled object but also something dynamic and new.